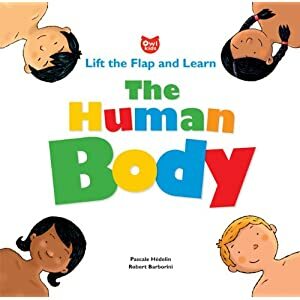 The books in this week's review are ones which Basbusa really liked when she was two or two-and-a-half, and still likes going back to every so often even now (at 3-and-a-quarter). 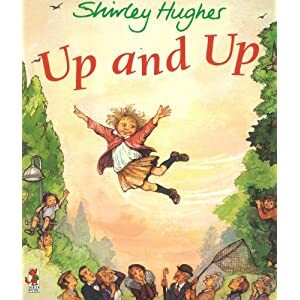 I think she sees them as "light relief" from the picture books she mainly reads these days, with their more complicated plots and vocabulary. 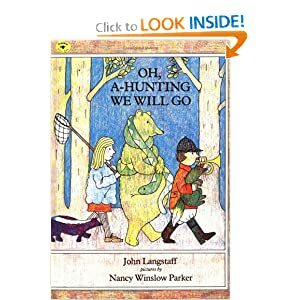 I hadn't really noticed how her taste has changed lately, until I came across these titles on my giant still-to-be-blogged-about list, and found myself thinking, "oh, but those are 'little-kid' books..."
Oh, A-Hunting We Will Go takes the old childhood rhyme ("A-hunting we will go, a-hunting we will go, we'll catch a fox and put him in a box, and then we'll let him go!") 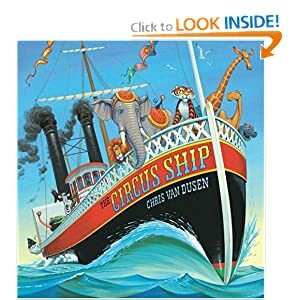 and adds a bunch of equally silly new verses (for example, we'll catch a snake and put him in a cake; we'll catch a brontosaurus and put him in a chorus...). 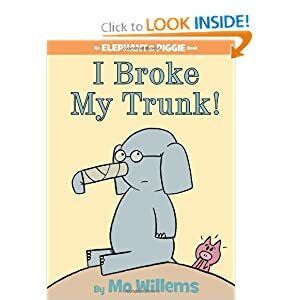 I can't say I was wild about it myself, but Basbusa found it hilarious :) And she loved being able to use the rhyme to predict what would happen to each animal. We're definitely not talking classic children's literature here, but Basbusa did enjoy it. 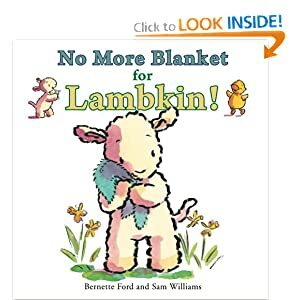 No More Blanket for Lambkin was on our library's display shelf for weeks and I never even glanced through it, having assumed that it was some book aimed at helping kids learn to give up their blankies. In the end, Basbusa went and got it, and it turned out to be much better than I had thought. In the course of a playdate for Lambkin and Ducky, Ducky manages to detatch Lambkin from his blanket for long enough to throw it in the sink along with all the doll-clothes they are washing. Lambkin goes along with this plan very reluctantly at first, but then is beguiled by the fun of splashing and bubbles - until it turns out that her beloved blanket now has holes in it!! Oh no!! But Ducky comes up with a cute idea to put things right again. 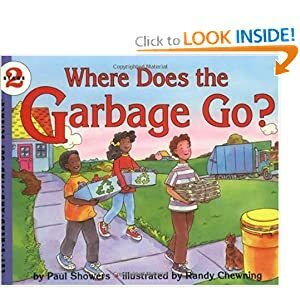 A nice, light read with a straightforward plot. 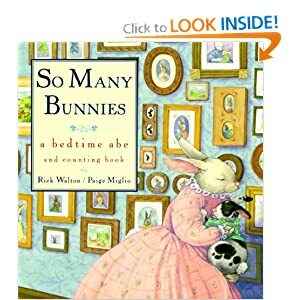 So Many Bunnies is "A Bedtime ABC and Counting Book." With so much ground to cover, you'd think it would surely be a dry and ugly set of flashcards in disguise, right? But no, it's actually sweet and quite a fun read! "Old Mother Rabbit lived in a shoe./ She had 26 children and knew what to do: / She gave them some carrots, some broth and some bread, / she kissed them all gently and put them to bed." And from there on, the text goes through all the odd places her children sleep. "1 was named Abel, he slept on the table. 2 was named Blair, she slept on a chair." And so forth, on through the alphabet. Basbusa's favorite is Mandy, number 13, who "slept in the candy" :) And after Mother Rabbit has finally gotten them all tucked up and gone to bed herself... all 26 bunnies arrive to snuggle up beside her in her bed. Very pretty illustrations with lots of detail and plenty to talk about. 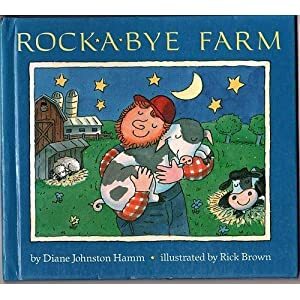 Rockabye Farm is the story of a farmer who lovingly rocks each animal to sleep before rocking himself to sleep in his rocking chair at the end of the book. That's pretty much it, in terms of plot, but Basbusa liked the illustrations. It's not so hard to rock a chicken, but by the time he's rocking cows and horses, the cheery farmer has to go get his tractor or his hay-cart. 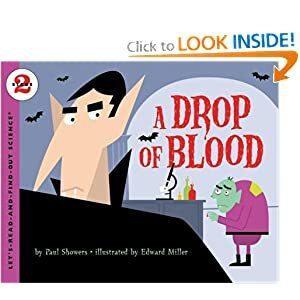 It looks like this version is out of print, though, and the new, boardbook version doesn't get such good reviews on Amazon, though, just so you know. 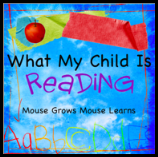 Linking up with What My Child is Reading. The following are excerpts from the Fall 2011 edition of Independent School, the magazine of the National Association of Independent Schools. The article, "Acknowledging the 'I' in Education: School Redesign from the Ground Up," is by Ryan Wooley, a director of technology, library and media services at a school in Ohio. I like what he's saying, and I really like the sample student schedule he has given at the end. (How feasible it would be to implement for 400 students in a private school, or 1,800 students in a public school, is another question, which luckily I don't have to answer!) A school setting that offered this kind of schedule for a high-school student is one I'd be happy with for my girls, I think, whether it was a "school", a co-op, or a homeschool that was providing it. "... shouldn't we ask, 'What do we want from schools in 2011 that is not facilitated by their fundamental design? ... Schools are not designed to attend to individual need. Even the most progressive schools are organized around arbitrary units of time. Do I spend a year taking chemistry because that is how long it takes me to learn it? ... What would the structure look like if designed from the perspective of student need? Here is a possibility: students would progress through a topic as they were ready... Students would be the architects of their own learning paths." "I'm suggesting that we don't need teachers to teach content [because content can be learned from online lectures etc]. Lesson plans should be burned in a giant, glorious bonfire. ... We need to give teachers a new job description. We need them to help students articulate learning paths. We need them to advise and mentor, connect, and encourage. ... Teachers should look more like travel agents - the really good ones who get more excited about your Alaskan cruise than you do." 2:00-3:15pm - Live human model drawing"
The following are excerpts from the Basset Blog, which is the blog of the president of the National Association of Independent Schools. '"The only time my education was interrupted was when I was in school." - Attributed to George Bernard Shaw. "It's a miracle that curiosity survives formal education." - Attributed to Albert Einstein. And the solution? He says, "this happens increasingly via real-world, team-based problem-solving, and with engagement in the creative arts fully and vigorously. My grandson Carter is now 12, a seventh-grader attending the Watershed School (Colorado), an experiential and project-based independet school in Boulder." Two days a week having "school" in the morning with one or two other families living nearby with kids near her age. We could trade off whose house it would be held in, so that each of the moms would get at least one or two "mornings off" per week. As for what the kids would do, well, "something educational." We could have a project or two lined up to suggest to them each time, but if they were more interested in just having a playdate on any given day, that would be fine with me, while they're so small. Three days a week at home with me in the mornings - for the preK/K age I'm tentatively thinking of doing maybe 15 minutes a day of Right Start math, and otherwise just making sure that we're reading plenty of books, doing lots of drawing and painting and building things, and having interesting discussions. Plus Quran every day, of course. In the afternoons, we would do errands, playground meet-ups, young-homeschooler hikes, housework, go swimming, etc. On Saturdays, I'm thinking I might send Basbusa to the "Saturday School" at our local masjid. It's a long day for little kids - 9am to 3pm - but I've heard they do play as well as learn, and it would be a way for her to make other Arabic-speaking friends (she only has three of those at the moment, and they will all be leaving the US in a few more months). If Basbusa didn't have any other formal schooling during the week, then I wouldn't feel so bad about one day of sit-in-a-chair-and-pay-attention on Saturdays. And how realistic is all this? Well, I don't know of any local homeschooling families who might want to team up with us for those two mornings a week (the one family which might have is also leaving the country soon), but we have a whole year to keep looking, and I have only just begun to get to know the homeschooling community. And the three days a week of homeschooling by ourselves? Well, we're slowwwwwwly getting better about making sure that Quran-memorizing does happen every day, and that was the thing that had really been worrying me about my own ability to homeschool (if I can't even make sure we do Quran, then what on earth would happen to math?!?). It's still nowhere like routine, though. But we have a year to keep trying to get better. So, we'll see. This arrangement might be feasible, but we'll still have to spend this year ironing out the wrinkles. 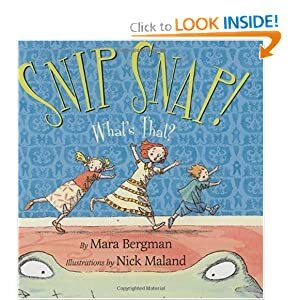 Snip Snap! What's That? 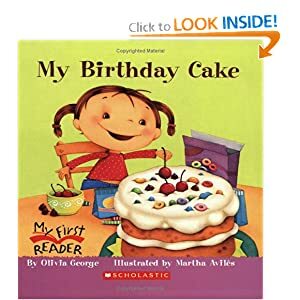 was a huge favorite, and Basbusa is already requesting that we get it out of the library again. The basic plot is that an alligator, who has emerged from the sewer, comes closer and closer to three children who are home alone in their apartment. The alligator is only suggested at first, with footprints... and then with the end of his tail... and then with a tail plus some feet... while the text mirrors the progression: at each stage, it repeats the question and answer, "Were the children scared? You bet they were!" in ever-larger font. I'll never forget the first time we read this one, because by the time we got to the climax - a two-page spread with nothing but a huge, open alligator mouth on them - Basbusa was holding her breath! But then "the children decided they'd had enough/ of all this scary alligator stuff" and shout at it to go away, which the alligator, tremendously taken-aback by this turn of events, does. Whew! :) This summary makes it sound scarier than it really was - trust me, Basbusa is not the bravest of tots, and this would never have made it past the first reading if it were truly frightening. I also liked that the text wasn't completely in rhyme, but had enough rhyme and rhythm to build up the suspense. 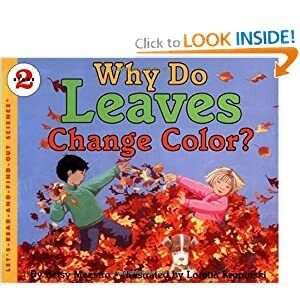 Plus, the recurring question and answer made it easy for Basbusa to "read" this one to herself. 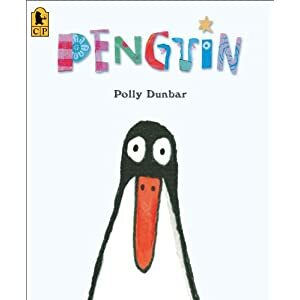 Penguin is about a boy who gets a toy penguin for his birthday, and tries everything he can think of to make the penguin talk to him. The penguin, unsurprisingly, doesn't. So the boy, completely frustrated, tries to feed the penguin to a passing lion. After the surprising climax of the story, the penguin, in a language all of his own, suddenly starts talking. We liked this one because the story is simple but has an unexpected twist, and a happy ending. Also, Basbusa could relate to the tantrum that the little boy throws when he's completely frustrated! I also liked that the text had only one, quite simple, sentence per page, making it easy for Basbusa to "read" it to herself. The Perfect Nest was such a fun read. 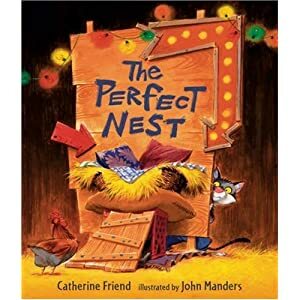 It's about a cat called Jack who builds a nest to attract a chicken, in the hopes of making himself some omelets. But it's such a good nest that it attracts not only a chicken (with a Spanish accent), but also a duck (with a French accent) AND a goose (with a silly American accent). The three birds squabble over the nest and all three refuse to leave it, despite Jack's best efforts to coax them away. In the end, well, Jack doesn't get his omelets, but he gets something else instead. Three somethings else :) The story itself is funny, and it's a great read-aloud because you can do lots of silly accents. Plus, the illustrations have lots of extra details to look at, elaborating on what's in the text. 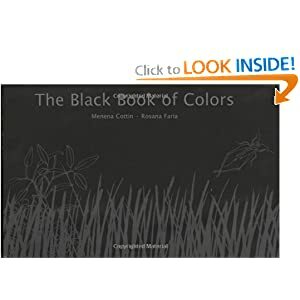 The Black Book of Colors is another book which Basbusa picked out for herself at the library, but which I would never have thought of looking for in a million years. But we got a lot out of it! 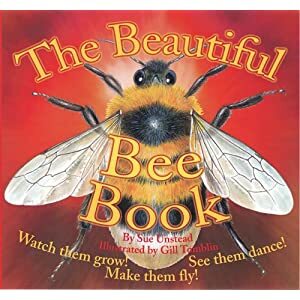 The whole book is black, and the text - in both English and Braille - gives one-sentence descriptions of what each color "looks" like (for example, "yellow tastes like mustard, but is as soft as a baby chick's feathers"). Each facing page has embossed pictures (still black-on-black) illustrating the things described in the text. Basbusa enjoyed the book for its own sake, and liked trying to feel the pictures. She had never learned about blindness before, so we also watched some videos on youtube showing kids reading and writing Braille, which she found very interesting. This week was an example of just the kind of thing I worry about in terms of the practical obstacles between homeschooling in theory and homeschooling in practice. The week was supposed to be filled with wonderful homeschool-ish opportunities: Monday was to be a trip to the zoo with a Massachusetts Muslim Homeschoolers group; Wednesday was supposed to be the first meeting of our homeschool preschool Chinese class, and then a weekly get-together at a park with another homeschool group that includes - yay!!! - another Egyptian three-year-old girl; and Friday was to be a hike with a young homeschoolers group. Sounds great, right? On Monday, it turned out that through miscommunication, some of the Muslim homeschoolers were headed for our nearest zoo, while the others were headed for one that is further away. I couldn't get confirmation that anyone else was definitely going to the nearby one, and it turned out that all but one family canceled on the farther one, due to forecast rain. Actually, the cancelled trip gave us an opportunity to go to the weekly park-day of another young homeschoolers group, which was great, but involved a lot more time in the car. On Wednesday, the Chinese class turned out to be just what I had been hoping and we met two new great homeschooling families, but there were a few complications. It started an hour late because of transportation difficulties - which was no problem for us now, but suppose Basbusa was old enough for "real" homeschooling, and had other classes or activities lined up? One of her best friends was supposed to have been coming too, but had to cancel because her little brother was sick. And we couldn't go to the meet-up at the park because my dearest Other Half thinks I've been spending too much money on gas lately :( So we went to a local park by ourselves instead. On Friday, it turned out that this week's young-homeschooler-hike is too far away (considering that Basbusa isn't likely to make it through more than about 20 minutes of the hike in any case :) But we had a playdate with a friend instead, and the girls had a great time playing together. Hmmmm... Looking back on it, though, we still did get a lot out of our homeschooling activities on Monday and Wednesday, despite the changes in plan. So I guess I should get used to the idea that even a good homeschooling week would involve more flexibility and less predictability than a traditional school week. And that I'll need to find a way of reaching a family consensus that homeschooling is going to have certain costs in terms of gas mileage! 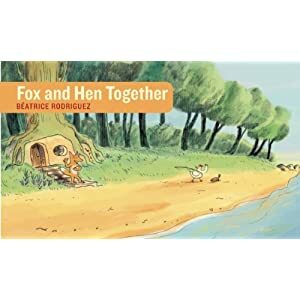 Without at all planning to, we've somehow stumbled over a whole trove of wonderful wordless picture books recently. "Wordless" doesn't mean "baby", though - I think Basbusa wouldn't have been able to follow almost any of these until quite recently, because the plots are quite complex. It's fantastic for both of us to have such good books for non-readers, because she can "read" without having to depend on me for help, and I can enjoy a few minutes of extra time here and there while she's absorbed in a book! 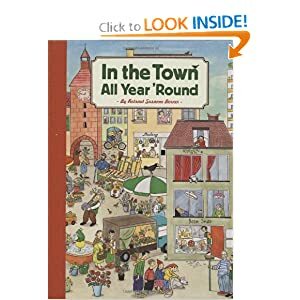 In the town, all year 'round has been one of our favorites for over a year. It just shows what's happening in a town during the course of a year, with a section for each season, but the same cast of characters shows up throughout the book, and there are a million mini-plots to discover as you read (and re-read and re-read and re-read). 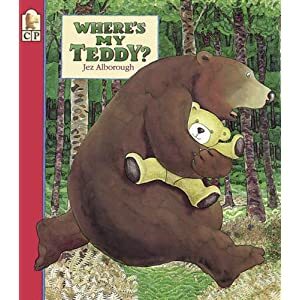 We have read this book more times than I can even imagine, and still, just the other day, we were reading it upside-down (don't ask), and I noticed yet another sub-plot that had not caught my eye before. The Adventures of Polo is like a comic book without words, about an adventurous little dog who explores his way through all kinds of places (e.g. the north pole, a desert island with volcanoes, under the sea, outer space) before ending up back home again. 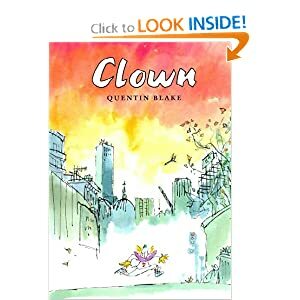 The plot, to my taste, gets just a little bit old somewhere around the fifty-second or fifty-third re-reading - you could basically sum it up as "Oh no!! ... Whew!! ... Oh no!!! ... Whew!!! etc - but Basbusa doesn't seem to have any problem with it, and she re-reads it to herself all the time. 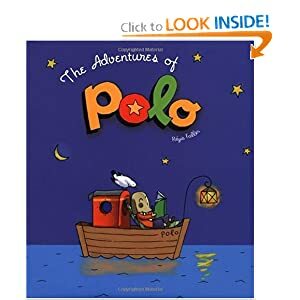 There are several other Polo books in the series, if your child really likes it. 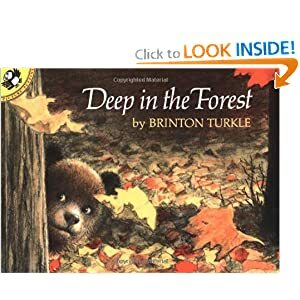 Deep in the Forest is Goldilocks and the Three Bears, but backwards (a baby bear comes into Goldilocks' house and causes havoc). Its's sweet and Basbusa enjoyed it. I guess this one's a classic, but somehow I'd never heard of it? And lastly, The Grey Lady and the Strawberry Snatcher. 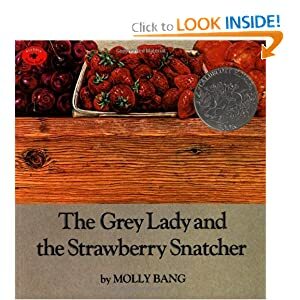 I myself thought this one was a little strange, both in terms of plot (an old lady trying to make it home with her bag of strawberries, pursued every step of the way by a very odd-looking thief) and of illustrations (I would describe them as "interesting" rather than attractive). 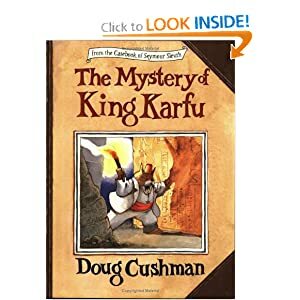 I wouldn't have included this one here except that Basbusa really liked it, and that it's a Caldecott Honor Book, so I guess Basbusa can't be the only one! The old lady does make it home safely, and the thief ends up finding a blackberry bush instead.